My patient and I were talking about the civil wars of family life, how protracted battles lead to warring factions and unholy alliances, and how challenging it becomes to establish diplomatic relations let alone working partnerships amidst the metaphorical bullets flying overhead. We focused on the lingering effects of estrangement–the ever-present anger and the profound, underlying hurt– and the flickering attempts at forgiveness and the shadowy hope. 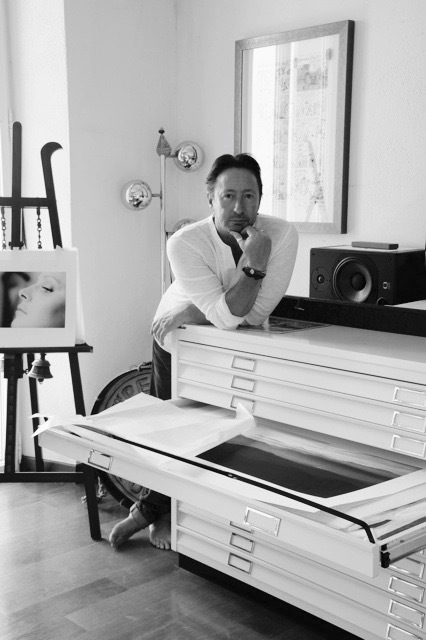 Centering on the quintessential civil war–divorce itself–I started to think of Julian Lennon and the heartbreaking story of his relationship with John and Yoko, and the beautiful and redemptive tale of him and Sean. When he was only 5 years old, John Lennon began an affair with Yoko Ono and dissolved his marriage with Julian’s mother Cynthia. In an attempt to soothe the boy, Paul McCartney wrote “Hey Jules” (what would later become ‘Hey Jude’) to remind him to ‘take a sad song and make it better,’ however the realities would soon overshadow the pop-song fantasies. Julian would grow to find his father make Yoko and his new son Sean the center of his life, with John penning the adoring song ‘Beautiful Boy’ and taking scores of family videos of his newfound family. It would be no surprise that Julian would become the odd-boy out in this developing civil war. Julian understandably held on to resentment that John took off time from music to be with Sean, when he was on tour for Beatlemania when Julian himself was born. Too add insult to injury, when John left to live with Yoko in New York, he was absent from Julian’s life for 2 years. The forgotten child, Julian took on what so many in the civil war of divorce feel keenly, but can’t quite articulate–how can I even be worthy if those who were meant to love me left and chose another family? How can I find a way to bridge the gaps of this civil war when so much of it was in circumstances beyond my control? As we were talking about the pain and heartbreak of this patient’s past, and the sequale of divorce, the question emerged about how one can forgive, and especially how one can treat the half-siblings that seem to usurp the place of the old family and reap the benefits of a newly transformed family man? How can one make sense of the limitations of those involved in the civil war who don’t realize how much collateral damage you take on? Luckily, the story of Julian didn’t end there. Despite the fact that Yoko Ono held on to the special postcards and mementos that John wrote for Julian, and the heartbreaking fact that he had to buy them back in order to retake possession of them, Julian found a way of finding some peace and reconcilation. Not only did Julian recognize the major limitations of his father, noting the way he too had been deprived of a father (and a mother) and that he had been a young and immature parent himself, Julian held on to the special connection with his brother. Sean considered Julian his hero, learning how to play guitar from him and developing that unique bond that only brothers can share. For his part too, Julian held a soft spot in his heart for the boy who unwittingly took his place, possibly seeing in him the part of himself that was never truly nurtured by his father. Whatever the case may be, on the anniversary of John’s 70th birthday, Julian invited both of his mothers and Sean to share in a special exhibit of his photography. I don’t know if many of us could do this amazingly powerful thing, but it struck me and my patient as something wholly beautiful and blessed. That Julian could find a way of recognizing the limitations of his father, temporarily forgive the selfishness and callousness of his stepmother, and embrace the brother who replaced him is extraordinary. Not since Joseph forgave his brothers for selling him into slavery has there been a more poignant story of brothers. In a roundabout way, Julian was not only forgiving those who had hurt him, he was also allowing the innocent and soulful part of himself to be honored, allowing it to shine through the divisions of that long, painful civil war. Michael Alcee, PhD., is a clinical psychologist in private practice in Tarrytown, NY who specializes in doing transformative work with adults looking to heal from the civil wars of their pasts and in making new redemptive storylines. For more on him or his work, check out his LinkedIn page or his website at drmichaelalcee.com.